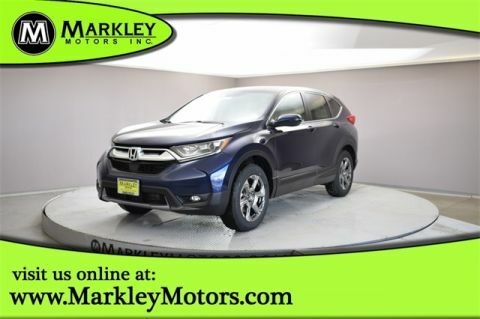 Our top-of-the-line 2019 Honda CR-V Touring AWD is a dream come true in Obsidian Blue Pearl! Powered by a TurboCharged 1.5 Liter 4 Cylinder generating 190hp while connected to a seamless CVT for amazing passing commands. This trendsetting All Wheel Drive SUV serves up composed handling and a comfortable ride. 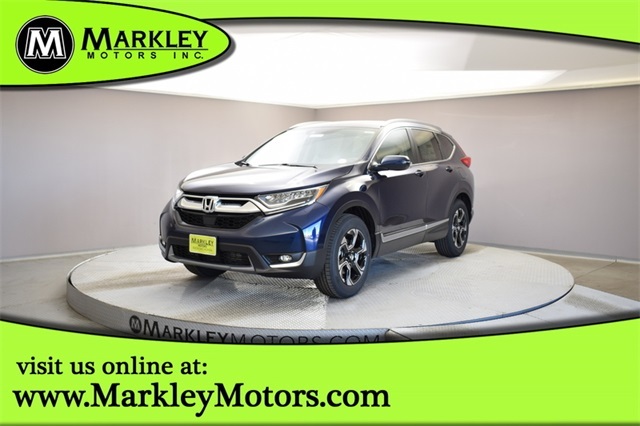 Our CR-V Touring is garnering second looks with its sculpted, distinctive stance with full LED headlights, hands-free power tailgate, sunroof, and great looking alloy wheels on this machine. You'll love spending time in the premium interior of our CR-V Touring with its Smart Entry/Walk Away feature, remote engine start, sumptuous leather, heated power-adjustable front seats, auto-dimming rearview mirror, rain-sensing windshield wipers, and easy fold-down 60/40 split rear seats. Staying safely connected is a breeze with our display audio touchscreen, Bluetooth, HondaLink, Apple CarPlay/Android Auto compatibility, available satellite-linked navigation with voice recognition, available satellite radio and more. Honda's reputation for safety, reliability, and durability is further enhanced with our Honda that's outfitted with a multi-angle rearview camera, ACE body structure, advanced airbags, vehicle stability assist, and ABS. Honda Sensing, featuring lane keeping assist, adaptive cruise control, and collision/road departure mitigation is also included. Reward yourself with this Honda CR-V! Print this page and call us Now... We Know You Will Enjoy Your Test Drive Towards Ownership! We Value You As A Customer And Look Forward To Showing You What The MARKLEY DIFFERENCE Is All About. We've Been In Business For 82 Years For A Reason! Call Us Now At MARKLEY MOTORS At 1-970-226-2213.